The number of first home buyer loans increased by 20.6% over the past 12 months to the June quarter of 2018, which is a positive indication that the natural property market price corrections cycle and government policies are working. 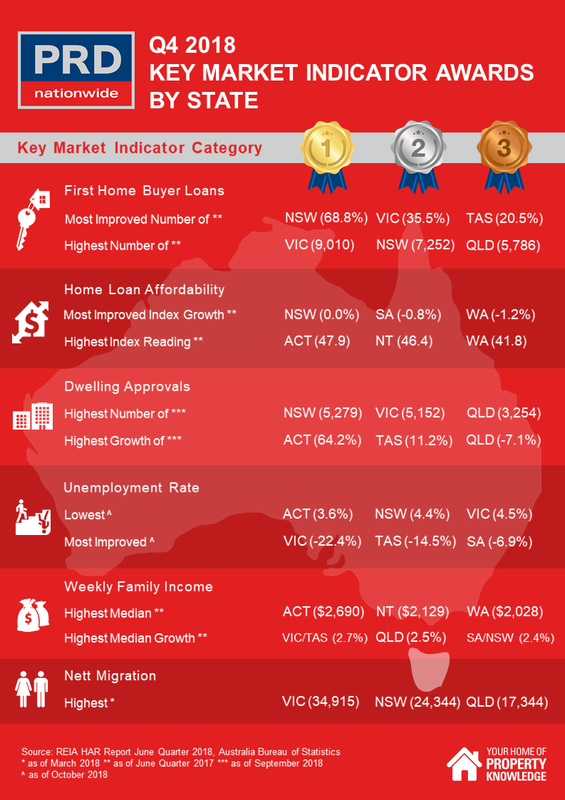 New South Wales continues to be the leader in the market when it comes to first home buyer loans, at 68.8% growth. This is no surprise considering the cooling of the Sydney market, which created a ripple effect to the rest of the New South Wales metro markets, creating a more affordable property market overall.